Greetings from all of us at AMAN! 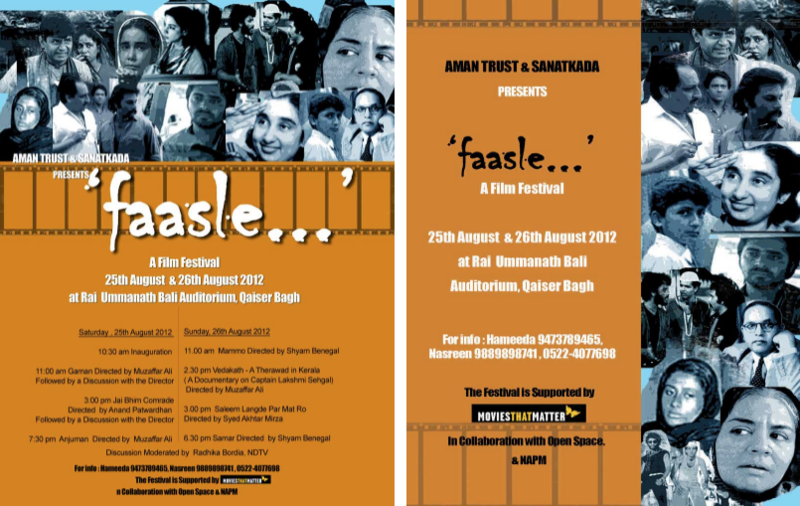 Please find below the programme and poster for Faasle, a film festival in Lucknow on 25-26 Aug 2012. AMAN is organising the festival in collaboration with Sanatkada. Please forward this invitation to your friends and family.